Scientific Council is the main collegiate body of the institute governing scientific activities. Scientific Council manages the main areas of institute research, training of researchers, international scientific cooperation, structure of the institute, and elections at all levels in the institute. Gavrilenko Vladimir, Dr. 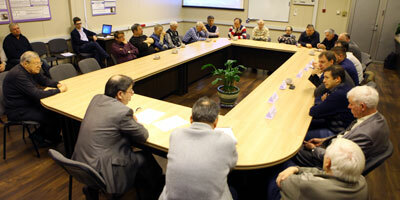 Sci., prof.
Chuprunov Evgenii, Dr. Sci, prof.
Fraerman Andrey, Dr. 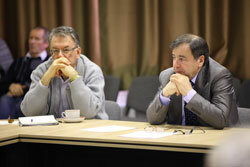 Sci., prof.
Shastin Valery, Dr. Sci., prof.